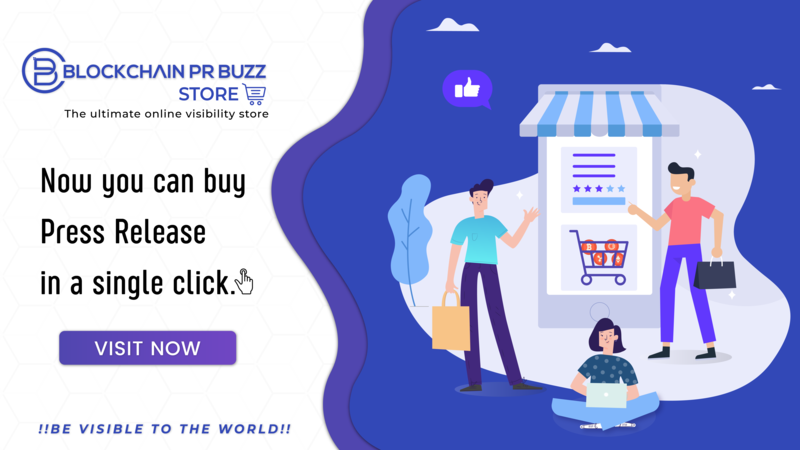 The names, images and logos identifying the Site, its related applications, services, associated companies or third parties and their products and services are proprietary marks of Blockchain PR Buzz, its associated companies and/or third parties. Nothing contained herein shall be construed as conferring by implication or otherwise any license or right under any trade mark or patent of the Site, its associated companies or any other third party. All copyright, trademarks and other intellectual property rights on the Site and all material or content supplied as part of our Applications & Services shall remain at all times the property of Blockchain PR Buzz or its licensors. By accessing the Site, you agree that you do so only for your own personal, non-commercial use. You may not agree to, permit or assist in any way any third party to copy, reproduce, download, post, store, distribute, transmit, broadcast, commercially exploit or modify in any way the material or content without Blockchain PR Buzz’s prior written permission. .
Blockchain PR Buzz is not responsible for the availability or content of any third party websites or material you access through this Site. If you decide to visit any linked site, you do so at your own risk and it is your responsibility to take all protective measures to guard against viruses or other destructive elements. The Site does not endorse and is not responsible or liable for any content, advertising, products, services or information on or available from third party websites or material (including payment for and delivery of such products or services). The Site is not responsible for any damage, loss or offence caused by or, in connection with, any content, advertising, products, services or information available on such websites or material. Any terms, conditions, warranties or representations associated with such dealings, are solely between you and the relevant provider of the service. Links to this Site must be direct to any complete content page (and not any part of a page) within Blockchain PR Buzz and must not be viewed within the pages of any other application. Blockchain PR Buzz disclaims all liability for any legal or other consequences (including for infringement of third party rights) of links made to this application. Links on the site do not imply that the Site endorses, is affiliated or associated with any linked application, or is legally authorized to use any trademark, trade name, logo or copyright symbol displayed in or accessible through the links, or that any linked application is authorized to use any trademark, trade name, logo or copyright symbol of or any of its affiliates or subsidiaries. From time to time, certain applications and software which is the protected work of the Site or its suppliers may be made available for access or download. You are licensed to use the software on a non-exclusive basis only for the purposes for which it is indicated. You may not use the applications or software for any other purpose and may not redistribute, sell, decompile, reverse engineer, disassemble or otherwise deal with the software. You agree to indemnify and keep indemnified Blockchain PR Buzz and its associated services from and against all claims, damages, expenses, costs and liabilities arising in any manner from your entry to and use of our website, applications & services other than in accordance with these terms and conditions. These Terms and Conditions shall be governed by and construed in accordance with the laws of India. Any disputes shall be exclusively subject to the jurisdiction of the courts of India. Any cause of action you may have with respect to your use of the website or application must be commenced within one (1) year after the claim or cause of action arises. If any of these Terms and Conditions should be determined to be illegal, invalid or otherwise unenforceable by reason of the law of any state or country in which these Terms and Conditions are intended to be effective, then to the extent and within the jurisdiction in which that Term or Condition is illegal, invalid or unenforceable, it shall be severed and deleted from that clause and the remaining terms and conditions shall survive and continue to be binding and enforceable. Blockchain PR Buzz makes no representation that materials on the website or application are appropriate or available for use at all locations and access to them from regions where their contents are illegal is prohibited. By accessing the website, application or services you agree to take responsibility for compliance with all local laws applicable in your jurisdiction.